The International Office coordinates the Campus international activities with partner institutions from other countries in order to manage international agreements that foster international expertise by facilitating research and study abroad. 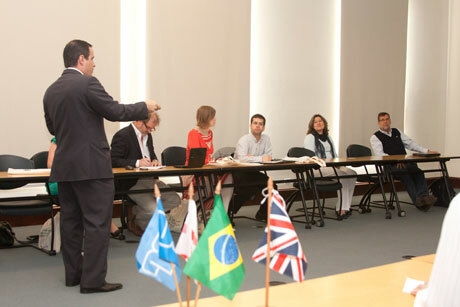 It also hosts and supports international scholarly activities on Campus for visiting faculty, researchers and students who come to USP/ESALQ interested in culture and seeking knowledge in Agriculture, Environmental Management and Applied Social Sciences. USP/ESALQ has International Agreements with more than 80 institutions spanning more than 25 countries, such as the United States of America, Japan, Portugal, Norway, The Netherlands, Finland, France, Argentina, Chile and Colombia. Academic Agreements with four French Institutions have led to three Double Degree programs in Agriculture and one in Food Science.